Today was a day of many fun workshops wherein Wittians, Dutch Students and Danish Students worked together on interactive projects such as Building the cow workshop, Painting Mandalas, Dance and Music Workshops as well as Henna Tattoo Workshop. Students were divided into five groups and were allotted a specific time for every workshop. Thus every student had to participate in all the workshops. Mandala is an ancient symbol for wholeness and harmony. 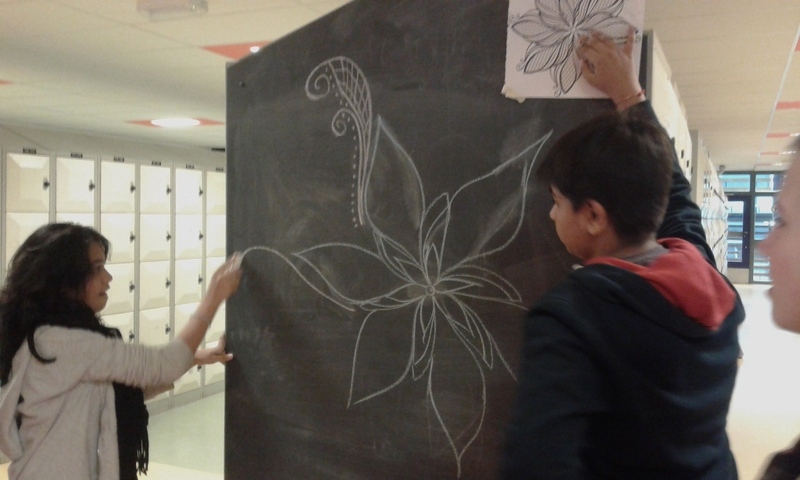 The Mandala painting workshop invited the students to explore their soul through mandala painting. 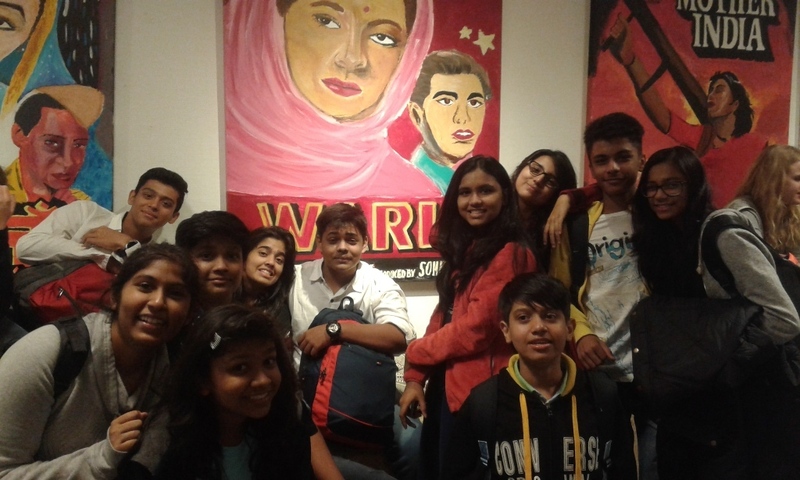 It enabled the students to use the mandala as a path of self-discovery and artistic development.Students attended the dance workshop wherein the Dutch students who had visited Mumbai earlier taught everyone a famous bollywood dance which they had learnt in the last exchange from the Wittians. 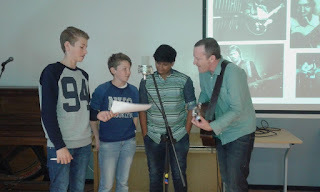 The music workshop enabled students to understand the content and form of lyrics in blues songs. 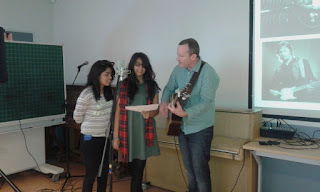 Students had a chance to write and perform on their own lyrics. 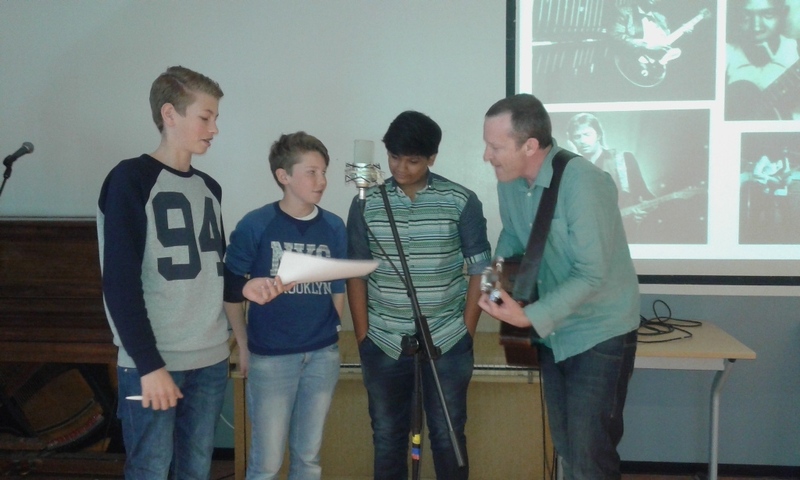 Students also learnt about the AAB / 12 Bar Blues which is the most common blues song form. The fundamental structure of 12 Bar Blues is three four-bar lines or sections. Often the first two and a half bars of each 4 bar section are vocal melody, while the last one and a half bars contains an instrumental melodic hook that gives a sense of completion for the line. 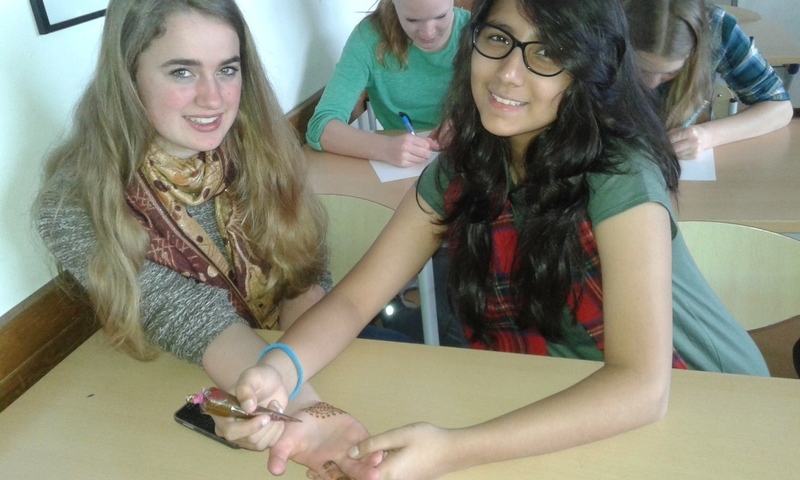 In the Henna design workshop students made many different and inspirational patterns and designs on their host students’ hands. 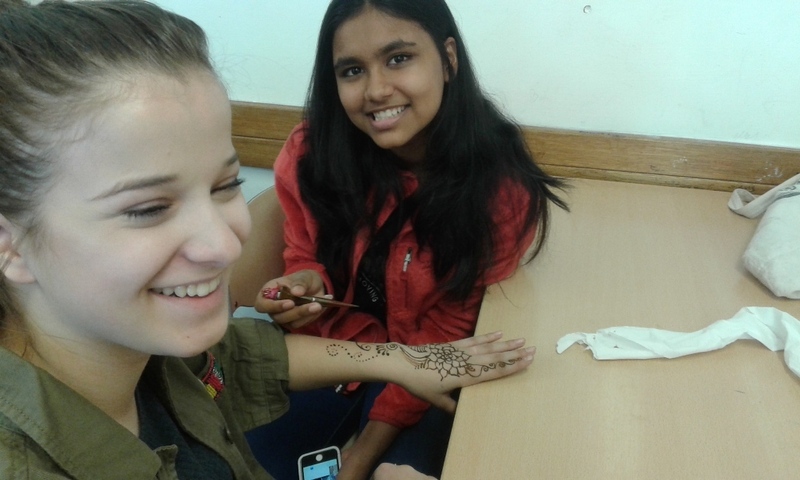 Students made many beautiful and impressive henna tattoos depicting Indian Art. 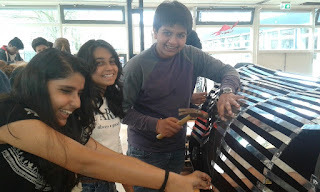 Building the cow- was the most interesting workshop for the Wittians as they got to work with their hands and use tools such as hammer, nails, saw and many more hardware tools to physically build a cow. A framework of the cow was created and students had to finish the design on the cow using reflecting mirror sheets which had to be cut and nailed into the wooden framework. It was an innovative and fun filled experience as the students could finally see the cow taking shape at the end of the Day!! In the evening, Dutch parents hosting the Indian and Dutch students were invited for a cultural evening. Wittians went home after school to help their host families in cooking the meal which the Dutch families would be bringing for the buffet in the evening. At around six pm students and host families starting getting food they had prepared for the buffet in the Aula. Everything was lovely and it was amazing to see that students and the families had prepared such lovely food. After dinner, began the cultural performance. In the preparation of the visit, RSG Broklede School had made some amazing hand painted Bollywood movie posters of the older yet evergreen famous hindi movies. Some of these posters were displayed on the stage, thus setting the ambience of a magical evening with Indian folklore and music. 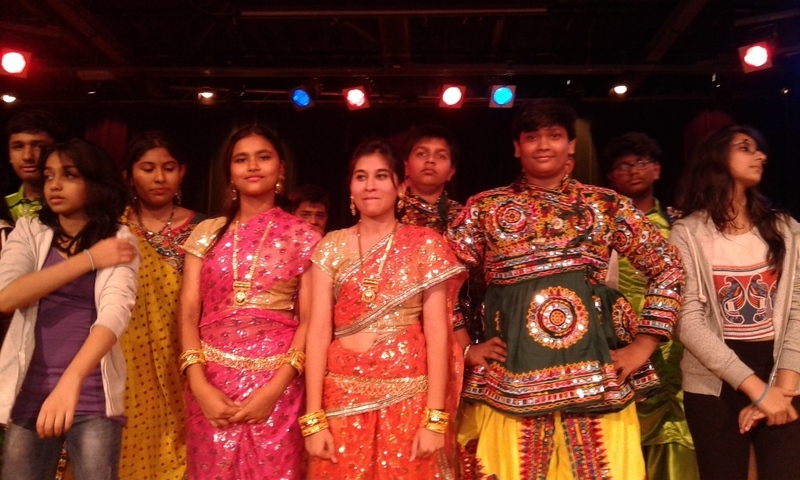 Wittians performed a medley of Indian Classical folk dances, a true exploration of Indian culture and tradition. Showcasing the diverse dance styles that span the nation, the traditional folk dances such as Garba, Lavni, and Bhangra with all the colourful and golden costumes truly captured the fire, heat and desire of Indian dance. 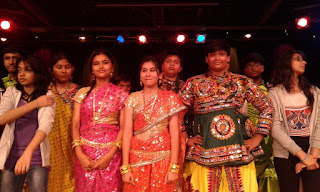 It explored the various typical Indian dance styles with a modern spin. 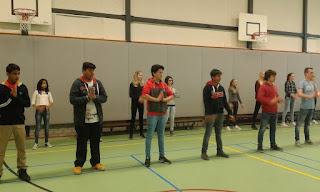 The Danish students also performed their school dance with Danish flags, and it was amazing to see students dance to the tunes of their school anthem. 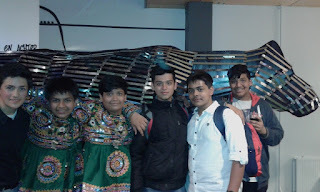 Finally we had the Dutch students who visited Mumbai last year perform a famous bollywood dance which we had performed together on our first exchange visit. Then finally we had all the Dutch students even the younger ones, along with the Wittians joining in this dance on stage. It was like the entire school joined in unison celebrating the fusion of Indian and Dutch culture. The evening ended as the students sang the Indian National Anthem. 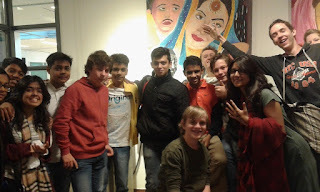 It was definitely an evening to be remembered forever, as once again it portrayed the long lasting friendship and bond between Indian and Dutch Students.